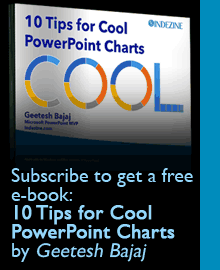 PowerPoint enables you to use its repertoire of Shapes to create some amazing artwork. Further, the Merge Shape commands allow you to create complex shapes by merging several simple shapes. Additionally, these options also let you convert your text to shapes so that you can see the text even on a computer that does not have a particular font installed. Learn how to convert PowerPoint text into individual, editable shapes using the Fragment command in PowerPoint 2016 for Mac.